Now we feel very privileged! On Sunday we decided to walk back up to where we previously saw the family of koalas. Within the same area that we saw them before, Hazel spotted the mother and joey! The male wasn’t to be seen this time. Some people have never seen the koalas up there and we have now spotted these beautiful creatures twice! Surely, encounters like this is what makes living in Australia special! The mother was sat with the joey slumped over her lap. 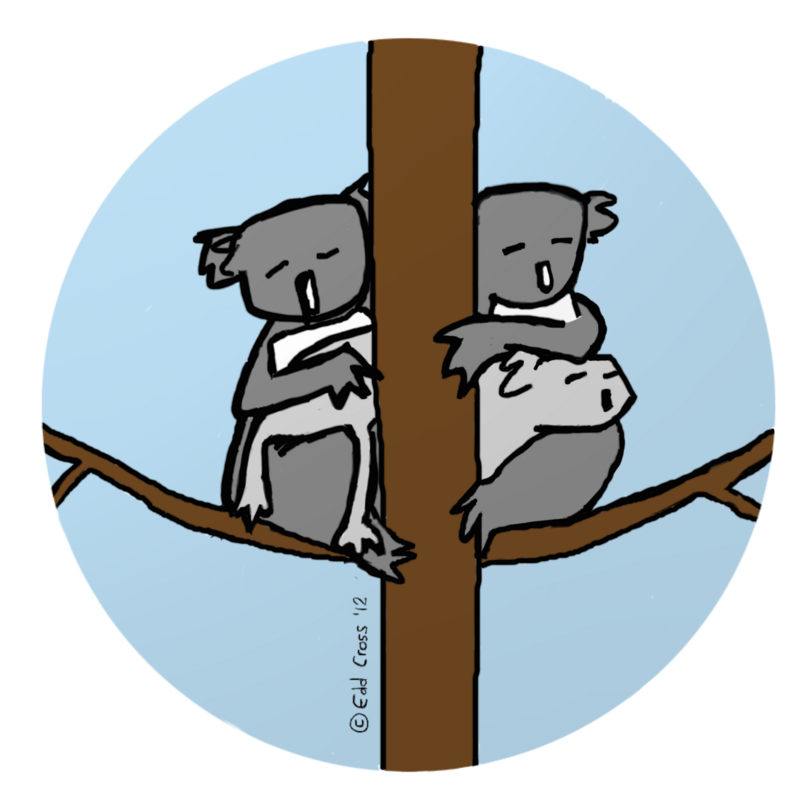 On one side of the tree we saw the joey’s back legs draped over the mother lap. When we walked to the other side, we saw the joey’s head resting on the mother’s lap. Awww. I thought I would show both these views on the one image above!